Artificial Intelligence (AI) represents both the biggest opportunity and potentially the greatest threat to the legal profession since its formation. This is part of a bigger global revolution – where society, business and government are likely to experience more change in the next 20-30 years than in the last 500. This large scale disruption is being driven by the combinatorial effects of AI and a range of other disruptive technologies whose speed, power and capability is growing at an exponential rate or faster – and which both enable AI and are fed by it. These include quantum computing, blockchain technology, the internet of things (IoT), big data, cloud services, smart cities, and human augmentation – all of which could literally be hundreds or thousands of times more powerful and impactful within a decade. The resulting changes will literally lead to the total transformation of every business sector, the birth of new trillion dollar industries and a complete rethink of the law, regulation, legal infrastructures, and the supporting governance systems for literally every activity on the planet. At present, the sheer scale of the opportunity is lost on all but a few genuinely forward thinking players across the legal ecosystem. The majority in the sector are either blissfully unaware of what impact AI could have or they are becoming obsessed with the internal applications of AI. In many cases, a natural tendency towards risk aversion is leaving firms paralysed by fears of declining revenues, commoditization, the depersonalisation of the sector, and the loss of professional roles. These fears have in turn driven reluctance to even understand let alone embrace the true opportunity presented by AI and its disruptive technology cousins. I believe law firms can and should escape from conventional wisdom and look to drive exponential improvements in internal performance and market growth by exploiting the opportunities presented by AI and other emerging technologies. Indeed, some in the legal sector are already diving deep to understand what they are and their true commercial potential. However, many are still more worried about the potential negative impacts of AI on the US$650 Billion legal services market and are proceeding cautiously as a result. I would argue that the real exponential growth opportunity lies in helping the world respond to the transformative impact of AI on the ~US$78 trillion global economy. Making sense of literally billions of data points across the web to spot new and emerging risks and legal threats. 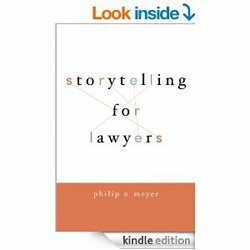 Rewriting and embedding the law in software – e.g. automatic fines, drawing evidence from the IoT, standardized open source legal documents, and automated judgements. So How Might AI Evolve Within the Sector? Widespread adoption of Blockhain smart contracts in newer firms / Rise of DAOs in both the private and public sectors. AI in widespread use across law firms and frequently mandated by clients. Whilst AI can clearly be disruptive within law firms, the real AI transformation opportunity lies in the broader marketplace. Indeed, by focusing almost exclusively on the internal impact on the ~US$650 Billion legal services market, the sector is missing the point. I believe that AI – combined with the other disruptive technologies mentioned – could redefine every existing business sector and drive the creation of new ones – leading to dramatic growth of the global economy to US$120Bn or more in the next decade. AI and the technologies it enables such as robotics, blockchain, Medtech, Edtech, and FinTech will drive the reinvention of existing sectors from media, healthcare, education, and transport to retail, construction, and financial services. AI is already enabling the next wave of trillion dollar sectors and developments such as autonomous vehicles, DAOs, synthetic biology, smart materials, intelligent cities, blockchain data networks, and smart contracts. AI is also driving interest in new economic paradigms, new notions of money, and new legal models such as Algocracy. All these developments will require the interpretation, reframing and redrafting of legal frameworks and the creation of new legal concepts and dispute resolution mechanisms to encompass new political, economic, social, and business paradigms. So while AI will undoubtedly have a transformative impact on how law firms work internally, the true exponential growth opportunity lies in helping, governments, businesses and civil society to understand, regulate for and adjust to the coming waves of AI-enabled disruption. Determining governance and monitoring frameworks for science research which is designed and conducted entirely by AI systems e.g. the creation of new lifeforms. Over the next five to ten years we will see these and many more opportunities start to emerge as existing sectors are transformed and new ones emerge. AI and the related technologies will enable the creation of entirely new markets, commercial concepts, business models, and delivery mechanisms – ideas we couldn’t even begin to imagine or describe today. For forward thinking law firms, these developments offer the potential to drive exponential growth in revenues – if we give ourselves permission to invest the time understanding the brave new world technologies and their transformative potential. Whether firms seize the opportunity or become paralysed by fear and indecision will ultimately be a matter of choice and a function of our willingness to step into the unknown and start learning. Rohit Talwar rohit@fastfuture.com is a global futurist, strategic advisor and the CEO of Fast Future Research and Fast Future Publishing. He advises business, government and NGO leaders around the world on how to prepare for and create the future in an increasingly disrupted world. He is the editor of a recently published book on The Future of Business www.fastfuturepublishing.com. The book draws on contributions from 62 future thinkers around the world to explore how developments such as AI and robotics could transform existing industries, create new trillion-dollar sectors and reinvent business over the next decade. His legal sector and professional services clients include Latham and Watkins, Baker & McKenzie, Allen and Overy, Linklaters, Norton Rose Fulbright, Hogan Lovells, King and Wood Mallesons, Simmons and Simmons, Berwin Leighton Paisner, Wragge Lawrence Graham & Co, Kennedys, Riverview Law, Parabis, ILTA (International Legal Technology Association), PwC, Deloitte, Ernst & Young, KPMG, Crowe Horwath, RSM Tenon, Moore Stephens, JLT Group, Knowita, and ACCA (Association of Chartered Certified Accountants).